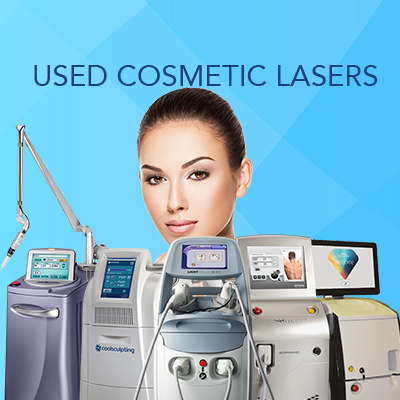 MedLaser USA is the #1 place to buy aesthetic lasers, save 50-80% off all different types of cosmetic equipment. Buying aesthetic laser equipment shouldn’t be a confusing process for new businesses, or even experienced buyers. We make the process easy and work with all types of business, even startups! We are in business to help you save money on your laser equipment but an important step in determining what you need is identifying what types of treatments is most important to you. We make navigating the aesthetic laser buying process extremely easy by helping you navigate all costs associated with your next cosmetic laser purchase. MedLaser USA is here to help you through the entire process. If you looking for effective & affordable cosmetic laser purchasing options, laser finance options, or aesthetic laser training, you’re at the right place! Set a budget. Decide how much you can spend, what’s your monthly budget or ideal spending amount? Prioritize treatment options. Identify cosmetic treatments that are most important to you business. We have options for every type of treatment. Choose the best laser wavelength. All of our products are gold standard technology, FDA approved, with years of clinic evidence behind our technology. Understanding the total cost of laser ownership. MedLaser USA has onsite service technicians and low total cost of ownership on all of our laser equipment. Selecting the best device. Our selection of laser equipment is guaranteed to meet all of your treatment needs. 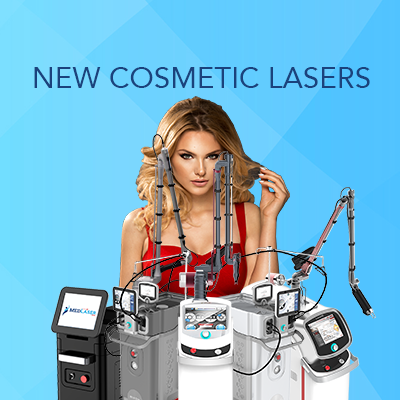 Maximize trade-in value with MedLaser USA. If you have any existing cosmetic equipment you would like to sell, check with us and we can offer a trade-in or cash option for your aesthetic laser. Start by deciding whether or not you would like to pay cash, take out a loan, lease, or rent your next cosmetic laser system. Paying cash for laser equipment is an excellent option for some, but with competitive lease programs baring considerably low interest rates, it may make sense to keep your cash on hand. We offer the most affordable leasing programs in the entire industry, we have aesthetic lasers with monthly payment options as low as $500 a month. Pay cash for a cosmetic laser system! We offer cash paying options and we make the process easy. Contact us to discuss any questions regarding this process. We have the most affordable financing options in the industry. We are able to service all types of business, even startups! Our monthly payments can be as low as $500 a month for brand new equipment! We have the most affordable leasing programs in the industry and service all types of business even startups. Monthly payments are as low as $500 a month for brand new equipment! Our rental programs are the most affordable in the industry, contact us to learn more! It’s always important to consider your client demographic and identify what treatments are both popular and profitable. Laser hair removal has become among the fastest growing cosmetic procedures in the industry. It’s highly demanded by both men and women of all age groups. Other treatments demanded among a wide range of age groups to include acne, photo-facials, skin rejuvenation, fractional skin resurfacing, laser peels, pigmented lesions, vascular lesions, fine lines/wrinkles, tattoo removal, cellulite reduction, vaginal rejuvenation, and a wide range of dermatologic conditions. Different systems also offer different modalities, which should be chosen by the type of wavelength, spot size, range of energy, pulse duration, delivery method, and speed. MedLaser USA has the most affordable and effective aesthetic laser options in the industry and we are here to help guide you through the process. Fitzpatrick Skin type (I) would be classified as the lightest of skin, whereas Fitzpatrick Skin type (VI) would be classified as the darkest of skin. It’s important to understand that not all wave-lengths are created equal or are and effective on all skin-types. This means having a versatile wave-length, considering your clientele, and deciding on a wavelength that is proven to provide the optimal results desires should be a the top of considerations when purchasing a cosmetic laser. Below are additional laser specifications that should be considered before acquiring any cosmetic laser device. Buy Aesthetic Lasers With MedLaser USA Today!